“The life of Christian discipleship is a precious gift, developed through hearing and responding to God’s call,” Archbishop-elect Comensoli said. 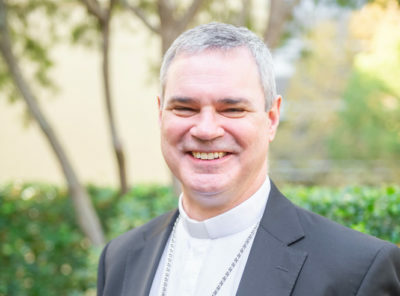 Archbishop-elect Comensoli currently serves on the Bishops Commissions for Evangelisation and for Family, Youth and Life. He has particular responsibility for euthanasia, life matters and media. He recently published a book entitled In God’s Image: Recognizing the Profoundly Impaired as Persons and has written several articles on Christian anthropology and disability.